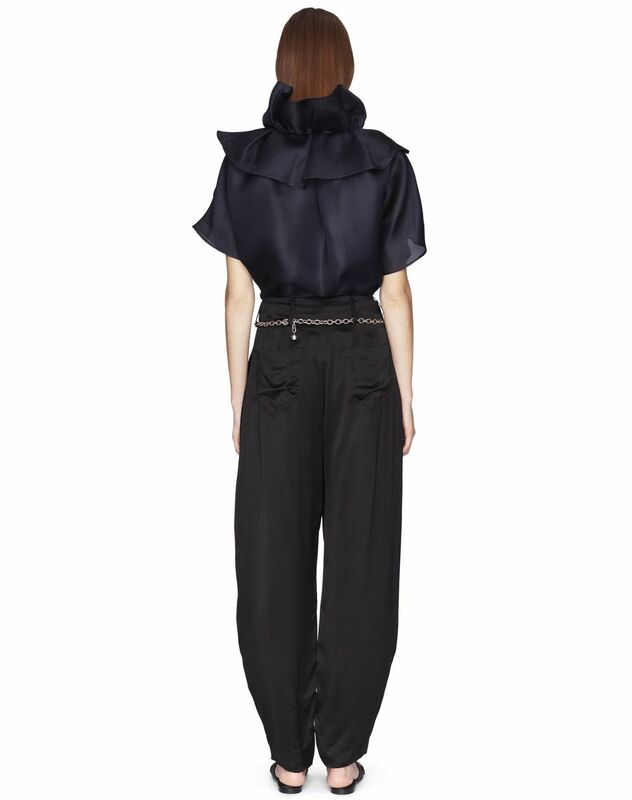 Blue silk gazar blouse, short balloon sleeves, asymmetrical neck with ruffle detail inset, and silk lining. This cocktail blouse in blue silk gazar stands out for its cut and floaty quality. The ruffles, a Lanvin signature, add a light, feminine touch and enhance the silhouette for a chic look. Main material: 100% silk weave. Lining: 100% silk weave. Model's measurements: Height: 5’ 10” Chest: 33” Waist: 23.2” Hips: 34.6” Model wears a size 4. Made in Spain.